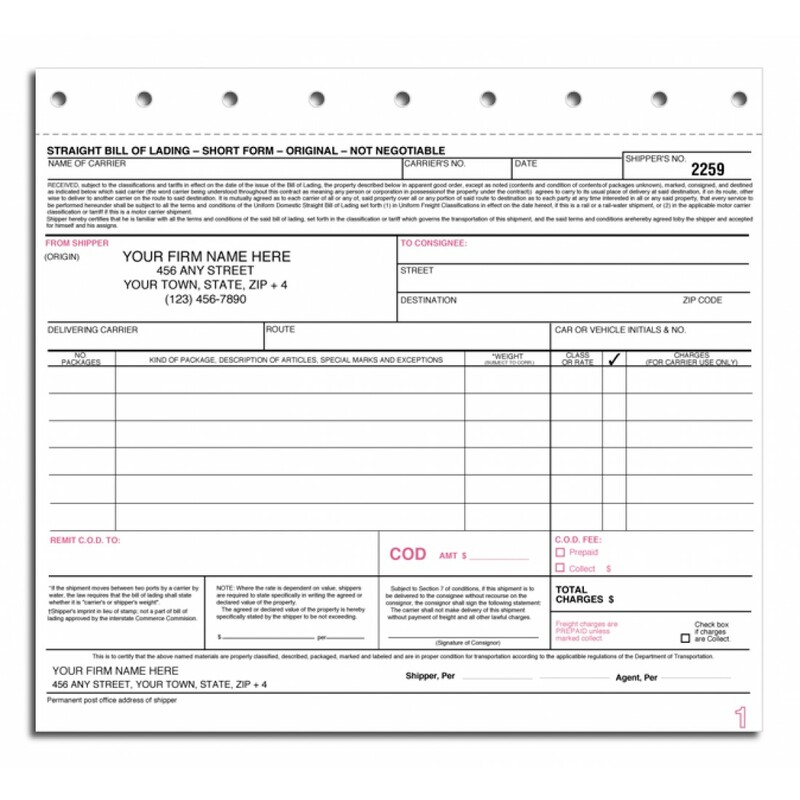 Bill of Lading Forms 6205 At Print EZ. Bill of Lading Forms Item No. 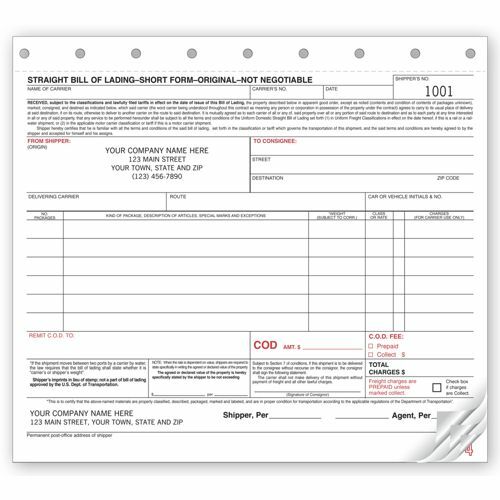 6205 Size: 8 1/2" x 7"
Printed on NCR paper and developed in keeping with the rules and regulations of D.O.T and I.C.C, these bill of lading forms are the ideal answer when looking to save time and effort with your paper-work. The form has been designed to cater to non-hazmant shipments only and all the pre-printed terms and conditions are in keeping with this aspect. All you need to do is fill out details of the shipment and take down the authorization signatures and you job is competed. With all the information clearly listed down, the data entry team is hugely assisted, while the copies of the client are also lent a clear and precise quality. Needed new bill of lading forms for shipping. Looked for new printing company sites and found this one. Web site was quite user friendly. They had the exact one I've previously purchased from prior companies. Order process was a breeze; Received shipment within 1 week. Pricing was actually lower than a prior buy 3 years ago. What else can you ask?